The sylvian aqueduct is the most common site of intraventricular blockage of the cerebro-spinal fluid. Clinical aspects, neuroradiological appearance, and treatment of hydrocephalus secondary to aqueductal stenosis are specific. An extensive literature review concerning etiologic, pathogenetic, clinical, and neuroradiological aspects has been performed. Therapeutic options, prognosis, and intellectual outcome are also reviewed. The correct interpretation of the modern neuroradiologic techniques may help in selecting adequate treatment between the two main options (third ventriculostomy or shunting). 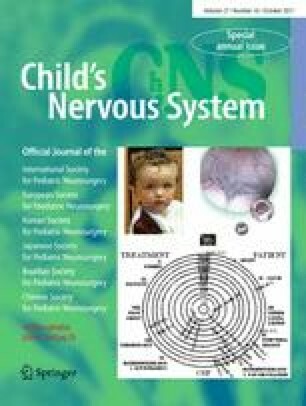 In the last decades, endoscopic third ventriculostomy has become the first-line treatment of aqueductal stenosis; however, some issues, such as the cause of failures in well selected patients, long-term outcome in infant treated with ETV, and effect of persistent ventriculomegaly on neuropsychological developmental, remain unanswered.